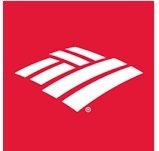 Bank of America Hiring Senior Software Engineer,Bank of America Software Engineer,Software Engineer Opening in Bank of America,Bank of America graduate Software Engineer,Bank of America Recruitment,Placement and Opening In Kolkata Jobs,Hydrabad Jobs,IT Jobs,Bangalore Jobs,Pune Jobs,Chennai jobs,Delhi Jobs,Gurgaon Jobs,Noida Jobs in India. Designs, develops, enhance, debugs, supports, maintain and tests software applications that support business units or supporting functions. Learn new technologies when directed as future development may involve diverse development platforms, software, hardware, technologies and tools. Work in a fast paced environment, under minimal supervision, with guidance from senior team members. Strong technical developer with 3-6 years of experience. Strong knowledge of SQL (Sqlserver\ Oracle \ MySQL) is mandatory.